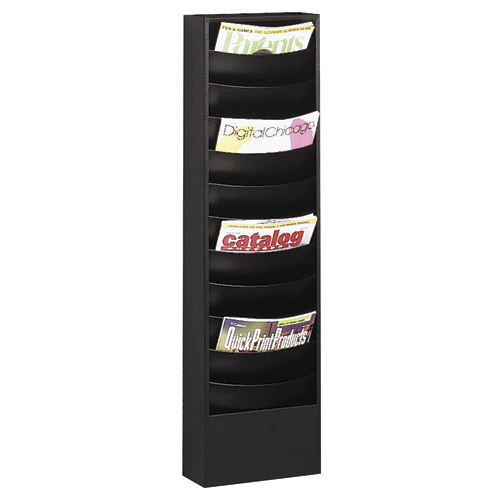 The Eclipse Line of space-saving wall racks feature attractive curved pockets so magazines and forms hold their shape and stay upright. 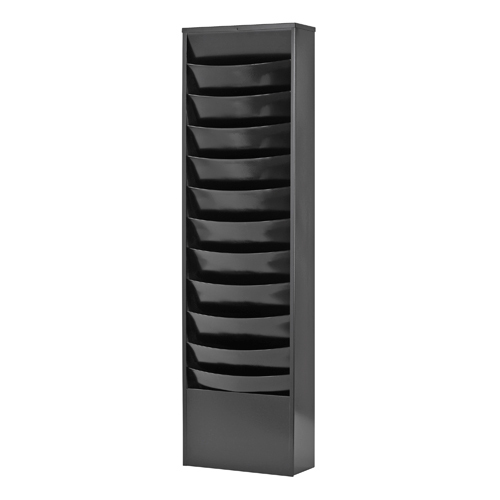 Eclipse Racks are modular to allow for the combination of units to create a custom display. Slotted for easy mounting. Available in 5,11, and 23 pocket models. Pockets measure 9-1/8 w x 3/4 d x 10-5/8 h. Made from 30% Post-consumer recycled steel. Available in Black (-4) or Platinum (-32).